3. More useful spectrum, 90% of the light will be absorbed by plants, only 8%~10% in traditional HPS and MHL. 9. New technology in fans will be more long-lasting,decreasing 50% noise. 11. 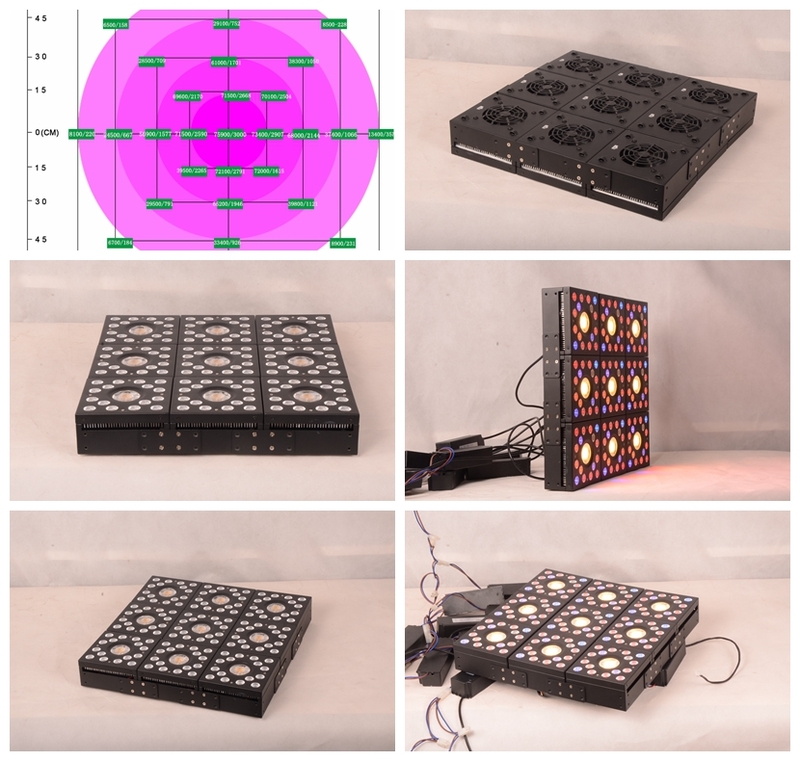 The lighting area and the height are changeable according to different plants and environments, the same as the parameter . 12. Environment-friendly, no mercury and other harmful heavy metal. 13. Available for black casing ,also could be customized as customer’s requests . Ideal for all phases of plant growth and works well in water solution culture and soil culture, indoor garden, pot culture, garden, sowing, breeding, farm, flower exhibition, bonsai, garden, green house, sowing,breeding, farm, greenhouse cultivation, water soluble breeding, greenhouse cultivation, pipeline cultivation and so on. 4. Don’t touch or move when the light is working.